I just purchased a Bose T1. I am a solo acoustic guitar performer. I have 2 signals coming out of my Taylor 810 acoustic. 1 from LR Baggs Lyric goes to channel 1 and 1 from the original Taylor ES system goes to channel 2. I then take the master output and go through my looper pedal, then a reverb pedal. The output of the reverb pedal goes to the house PA. I see other artist (who also has a Bose T1) say they take a line out of the T1 and go straight to the house...then they take another line out of the T1 and go through all there pedals (looper, delay, reverb) then from there pedals they have another line out to the house...So the house PA gets a line straight from the T1 and another going though the pedals. I can see how this might be a good thing...a dry signal and a wet signal. How can this be done on a T1?....It's confusing because I do a lot of looping why would I want to have a dry signal playing something that's not looping? 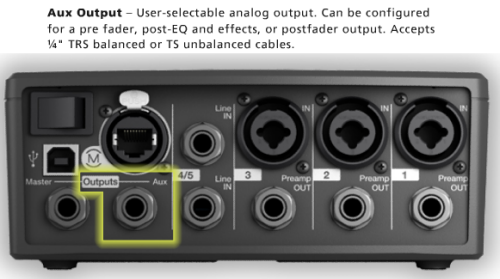 Edit Subject: Previously "Setting up with Acoustic"
It's confusing because I do a lot of looping why would I want to have a dry signal playing something that's not looping? I can't think of why this would be useful unless you want a dry signal for talking between songs. You didn't mention a microphone. Congratulations on getting your T1. You can create an Aux mix (and make it dry, without effects) and send that to the house system. ...then they take another line out of the T1 and go through all there pedals (looper, delay, reverb) then from there pedals they have another line out to the house...So the house PA gets a line straight from the T1 and another going though the pedals. 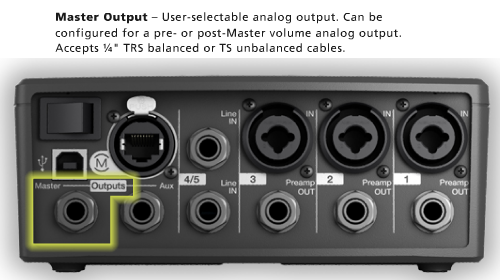 Use the T1 Master Output and send that through the looper, delay, and reverb and then the house. Hey StoneBose. Got a minute to introduce yourself and tell us about your music?